This page shows the latest Soliqua news and features for those working in and with pharma, biotech and healthcare. 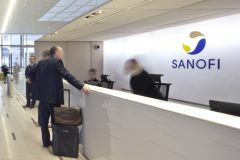 Sanofi has launched new diabetes combination therapy Soliqua in the US ahead of a rival product from Novo Nordisk. ... the combined price of its two constituent drugs - which could make it more expensive than Soliqua. Acquisition. $244m. Zealand/. Royalty Pharma. Royalty streams and milestones for Soliqua 100/33/.